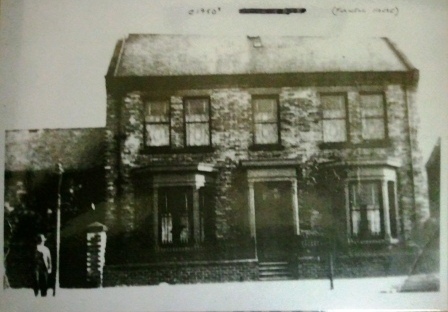 We believe that Mill View Club originally started out as Fulwell Workingmen’s Club at the beginning of the 1920s, and was located at the corner of Sea Road and Bower Street in Fulwell. It is denoted on contemporary maps of the area by a square building with the word “club” alongside. 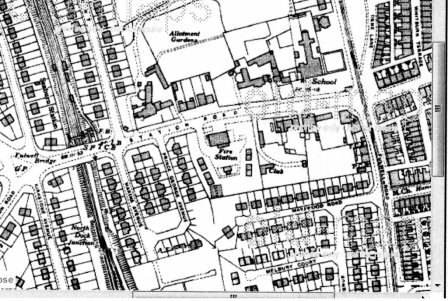 The club eventually made its way to near its current location in Station Road, on land between the Fire Station and Mayswood Road. 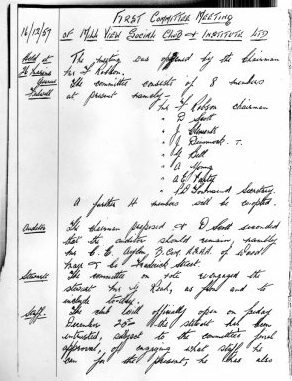 However, on 1st May 1942, the dropping of four bombs in the vicinity caused the destruction of the original building, as well as other structures in the area, including the recently built fire station (See contemporary report and pictures opposite). Sometime in 1948, Fulwell Club then located to a house “Fulwell House”, next to the Blue Bell pub - currently Sainsbury’s car park entrance, and looking across to Fulwell Infants school (see picture opposite). From Fulwell House, the club moved to its present location around 1951/2 in what was then a prefabricated structure with building constraints and restrictions. Its membership was approximately 1100 strong, including a contingent of quarrymen who worked at the local Fulwell Quarry. Then in 1957 the club was struck off and ceased to exist after being closed because of issues regarding illegal gambling tickets. The deeds to the building were also appropriated by the authorities. The premises stayed open for the sale of soft drinks and other refreshments, but was prohibited from selling alcoholic drinks. Later in the same year, a letter was published in the Sunderland Echo inviting all members of Fulwell Club to a general meeting with the objective of forming a new club. At this meeting Mill View Social Club was formed. All members in agreement transferred their shares from the old club, and a loan was arranged with Vaux Brewery. 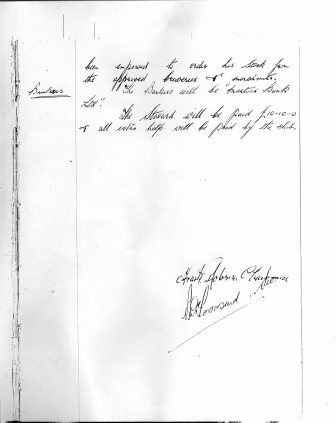 Minutes of the very first committee meeting, in a house in nearby Marina Avenue, 16/12/57, are shown below. In 1962, the loan from Vaux Brewery was paid off, and the deeds of the building were returned. The same year saw the addition of the current cellar and main Lounge. The Steward’s flat, which is now the upstairs Blue Room lounge and Snooker room, was built shortly afterwards. The Club Steward relocated to the current club house, which was bought by the club for £19,000 in the 1970s after being put on the market by the Fire Brigade. A big thanks to former club stalwart and committee man, the late Larry Loughlin, for much of the above information. Larry was one of the 4 co-opted committee men as stated in the minutes below. auditor should remain, namely Mr C E Ayton B.COM. A.S.A.A. of Wood Frank & Co Frederick Street. The club will officially open on Friday December 20th. One High Explosive bomb at south east corner leaving a crater 32 feet across by 8 feet deep. 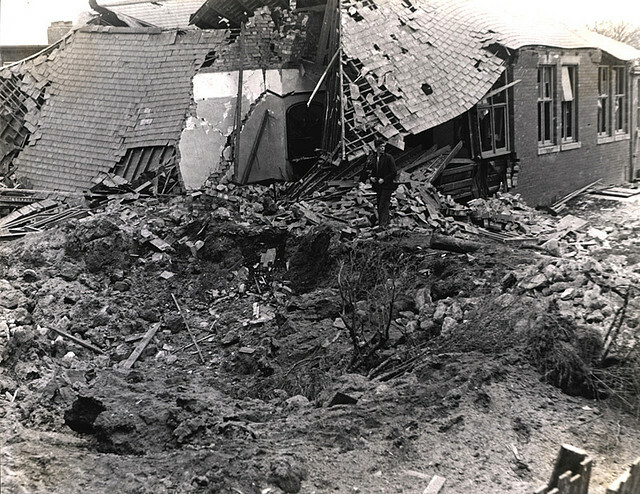 The end of the club was demolished and two people were killed in Mayswood Road the damage there is shown in the photograph below. 1st May 1942, 26 Mayswood Road. 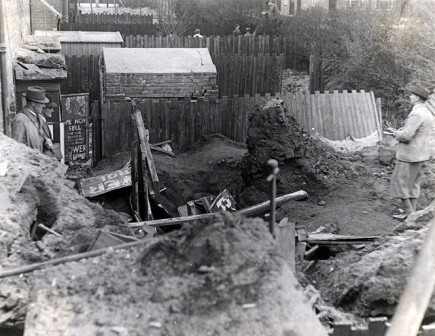 Remains of a home made air raid shelter composed of tin advertisment boards which collapsed when forced together by movement of earth following upon the bomb exploding at Fulwell Social Club. The surface shelter shown in the garden behind, whilst damaged, withstood the blast. Two people were killed here.